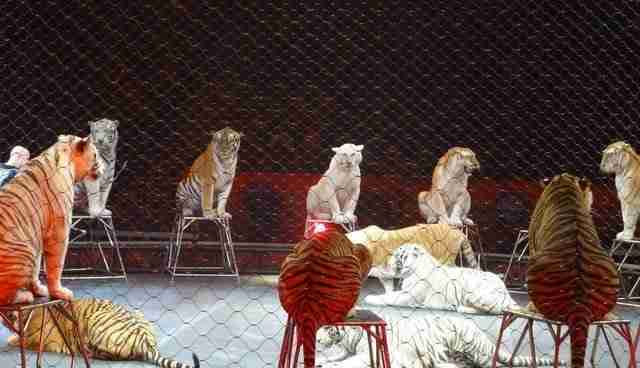 The circus stopped performing, but it's still making their lives hell. After receiving an anonymous tip-off, officials from the Arkansas Game and Fish Commission (AGFC) went to investigate a farm shop in Poinsett County, Arkansas, earlier this week. 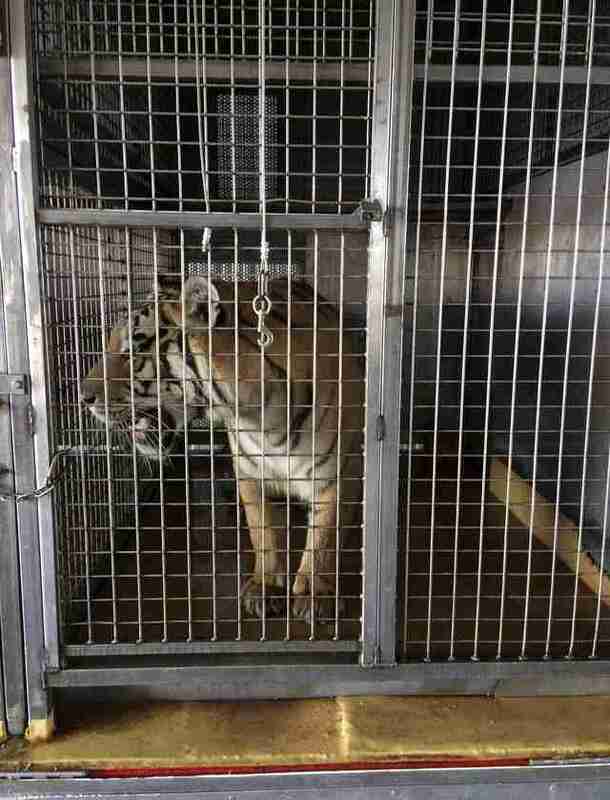 What they found was shocking — seven tigers, six lions and one leopard locked up in cages. As it turned out, these big cats belonged to Alexander Lacey, a trainer from the now-defunct Ringling Bros. circus. After the controversial circus shut down earlier this year, animal welfare advocates hoped its animals would be retired to sanctuaries. Instead, Feld Entertainment, the company behind Ringling Bros., announced in May that it would be shipping the animals to Germany, where they’d continue to perform in another controversial circus, Zirkus Charles Knie. According to media reports, Lacey had the necessary paperwork to transport the big cats, but he hadn’t alerted Arkansas officials that he’d be keeping the animals in Arkansas. However, it’s unclear whether Lacey will face any consequences for failing to alert the authorities. The Dodo could not immediately reach the AGFC for comment. 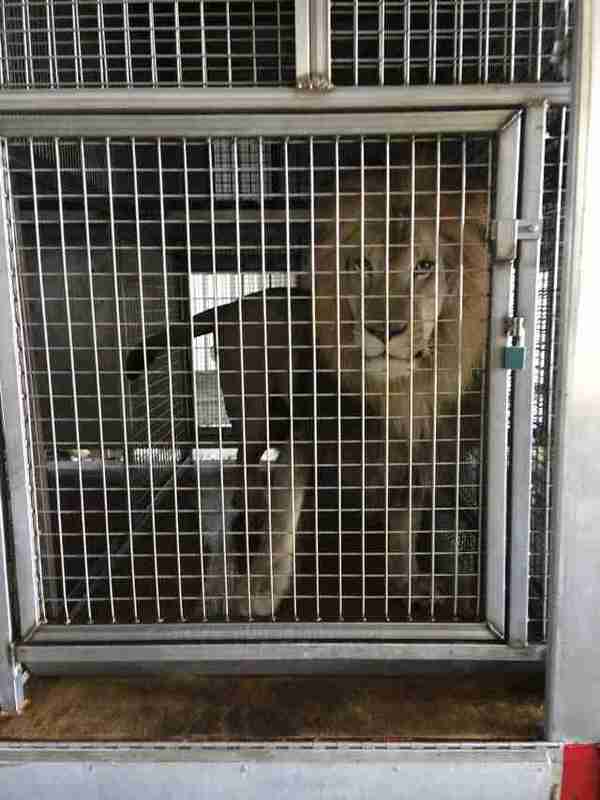 The seven tigers, six lions and one leopard were taken to the airport yesterday and flown to Germany. Whatever happens to the big cats now, animal advocates continue to worry about their welfare. These 14 big cats were put through years of psychological abuse, as well as environmental and physiological neglect, according to a report written by Jay Pratte, an animal trainer with 25 years' experience. Not only were the Ringling Bros. animals forced to live and work under unnatural and cruel conditions, but trainers used violence and terror to train them. 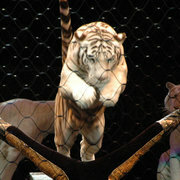 "The primary means that I observed at Ringling Bros. to coerce the cats to respond in a desired manner is to yell at them, bang on the cages, and use long goads, prods, or whips to force them to move in a specific direction or to back off when approaching another animal or human too closely," Pratte said in the report. "These prods are ubiquitous. They are in the trainers' hands, the assistants carry them, and they are left strategically near the cats to remain readily available." The big cats weren’t the only animals to suffer at Ringling Bros. Trainers were filmed beating elephants with sticks and brooms, and chaining them up for indefinite periods of time, according to Animal Defenders International (ADI). Even after the closure of Ringling Bros., the animals have continued to suffer. 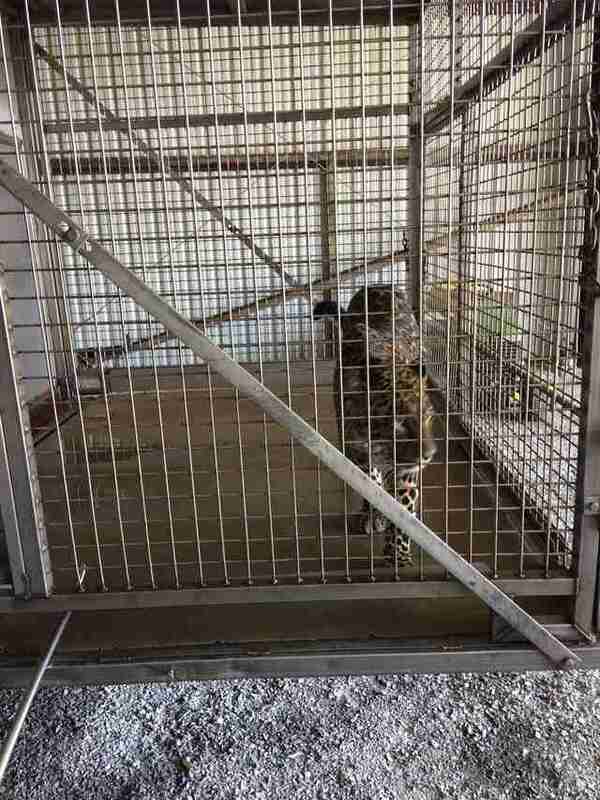 While being transported via truck from Florida to Tennessee last week, one of the tigers, a 6-year-old Bengal named Suzy, escaped onto a Georgia highway. When Suzy wandered into someone’s backyard and threatened a pet, police officers were compelled to kill her. While the remaining big cats are still alive, Tim Phillips, president of ADI, hopes that exotic animals will be given more protection in the future — and that traveling circuses like the Ringling Bros. will be stopped once and for all. “This situation further demonstrates the inherent cruelty and public safety risks involved in using exotic animals for entertainment,” Tony Eliseuson, senior staff attorney for Animal Legal Defense Fund (ALDF), told The Dodo in a statement. 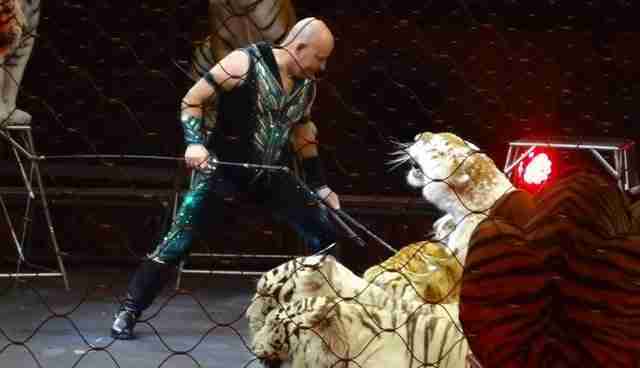 “Rather than exporting these big cats to a German circus, Feld Entertainment should instead move them to a reputable sanctuary that can provide them with the naturalistic home that they deserve." 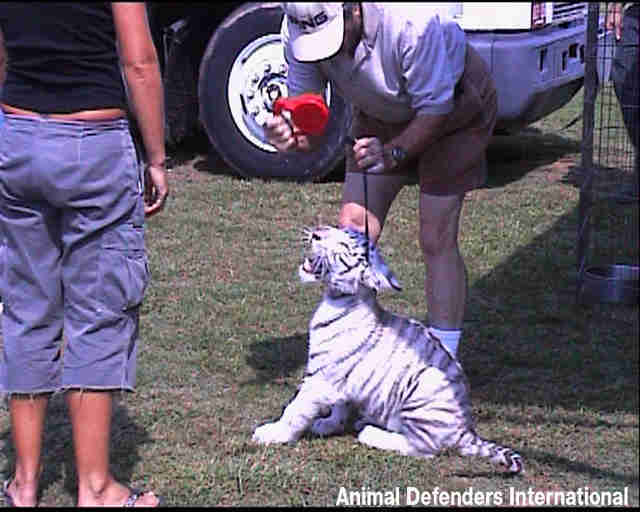 To help protect big cats in the U.S., contact your legislators and ask them them to support the Traveling Exotic Animal and Public Safety Protection Act, which would prohibit the use of exotic animals in circuses.